Being a digital medium, web design is way more vulnerable to change and evolution than its old-school print forbearers. However, it should come as no surprise, given that we are almost 18 years into the new millennium! What does leave me in awe is how web designers have always kept pace and still continue to cope with the escalating technical challenges, while still managing to design sites that are adaptable to every conceivable device, consistent with the corporate style, and are innovative, user-friendly, and just plain stunning all at once. According to Paul Jarvis, a veteran designer who has worked with various mammoth names such as Microsoft, Mercedes Benz, and Warner Music, bright minimalism is a steep-soaring trend that is projected to dominate the website design industry in 2018. While simplicity is still in vogue, advances in brightness, color saturation, and monitors make sure that minimalism is not boring anymore! With vibrant hues and big, bold typefaces, designers are going to have a lot of fun in 2018. More sleep is a design studio that has perfectly amalgamated minimalism with bright colors. By using an actual product shot in bright red, not only have they successfully created an interesting collage but also managed to showcase their client in an innovative way. The header shot was taken from their homepage that highlighted one of their projects, a lookbook that they created for their client Mini. The lookbook seems a great example of bright minimalism and we are sure it will be loved by their client as well. 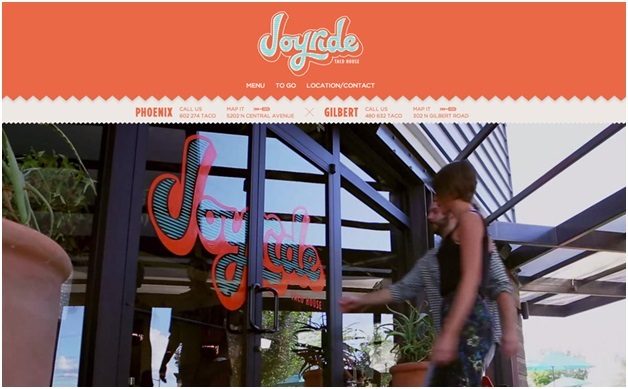 Joyride is a taco house based in Phoenix USA. By using a real picture of a couple casually strolling inside their physical location, they have portrayed the trendy look and feel of the restaurant along with rolling out a vibe that draws your attention with plants galore. Just by looking at the picture, anyone would feel the freshness and tastefulness of the food that is served at the location. Jane Portman is a user interface consultant who specializes in creating website application designs. She predicted that in 2018, businesses will take the user experiences beyond normal activations and are going to derive a real-world formula that is predicted to provide more viable metrics on driving success. She said that with the help of advanced analytics and artificial intelligence, personalization will be enabled, empowering the website to keep improving according to the needs of their users and figure out more appropriate answers to any user queries. Wix is an online website builder that allows users to create a website design according to their whim. 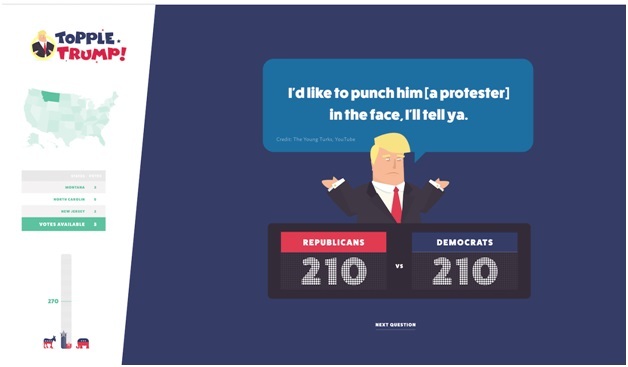 With the easy drag and drop options, Wix enables its users to create heartfelt designs that are engaging and equally usable. 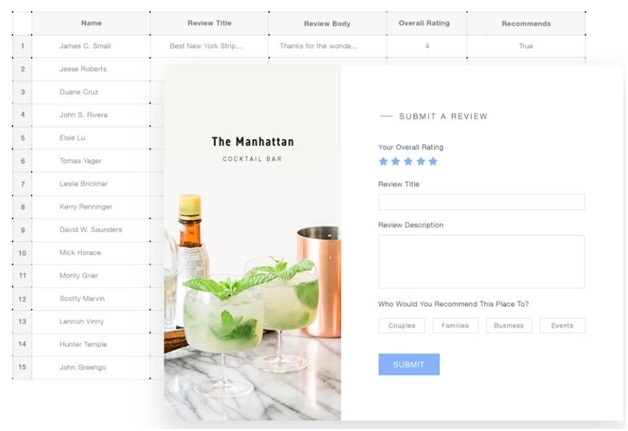 Wix can add custom forms and change the behavior of your website by including APIs in your web design. Wix is a great example of how user analytics and AI are going to change the future of website designing in 2018. Interaction is the key to success for businesses, especially online websites. Talking about website trends in 2018, interactivity is something that is going to rise and can dramatically change the way a user interacts with a website design. You must have witnessed online businesses including polls, quizzes, and contests in their web designs. This is meant to create engagement. An engaged customer is more likely to convert quicker and presents a lucrative opportunity for a business generation to the owner. In 2018, the kind of content that is going to be liked by users will be something that asks and prompts for interaction, instead of just telling. Challenging a customer by asking relevant questions, which can be in the form of quizzes to simply glean an idea of what they are looking for, can be the most viable business opportunity that a website can cash in on this year. Typography is one of the most potent weapons in your arsenal when it comes to the battle for eyeballs. This year, the use of creative and in-your-face typography is projected to broaden out. This year, typography is going to be all about “the bigger the better.” So while grotesque sans-serif styles such as Helvetica are still a norm, designers are branching out and tapping into myriad available typefaces. 2018 will see an ever-escalating number of sites pairing sans-serif and serif fonts, as well as the return of serifs to the screen to create a dynamic user experience. Since device resolutions are vamping up the legibility factor by getting sharper, this is bound to open up doors for custom fonts. Designers are increasingly looking for typography packing bucket loads of personality for an aesthetic effect, and not simply for emphasis. The drama and vanity created by oversized typefaces speak volumes about the fact that 2018 is going to bid adieu to subtlety, bringing in the rise of bold trends. Another typography trend that is going to make big waves is that of typography cutouts. This technique works by superimposing a block of color over amoving or still image and making it pop out with clear lettering. Limiting the number of letters and choosing the right typefaces paramount to making this work. For instance, Danbury has achieved this technique well with a vibrant cutout that serves to catch the attention of users and draw it to its video. The above-mentioned website design trends are only a few amongst a barrage of trends that design analysts have predicted, but they are going to consume a huge place in the overall web trends space for the coming year. Alternatively, you can get in touch with a Branex – Web Design Agency to give a definite shape to your web design idea.